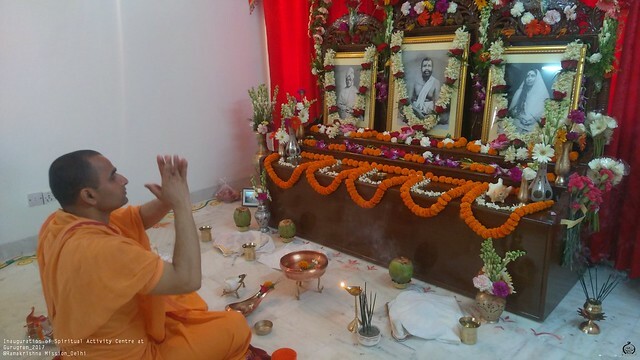 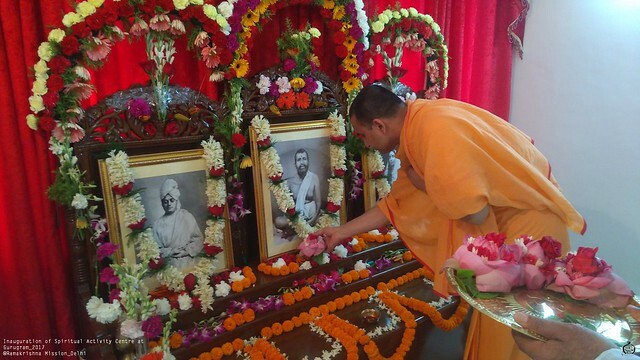 The Ramakrishna Mission, New Delhi, organized the Inauguration of the Spiritual Activity Centre at Flat No. 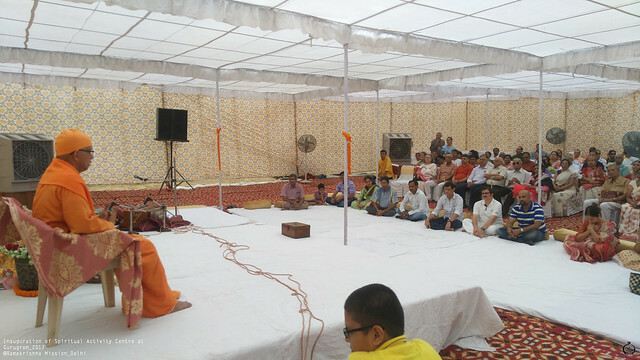 D-142 Sushant Lok Phase-3, Gurugram on Akshaya Tritiya day, i.e., on 29th April 2017. 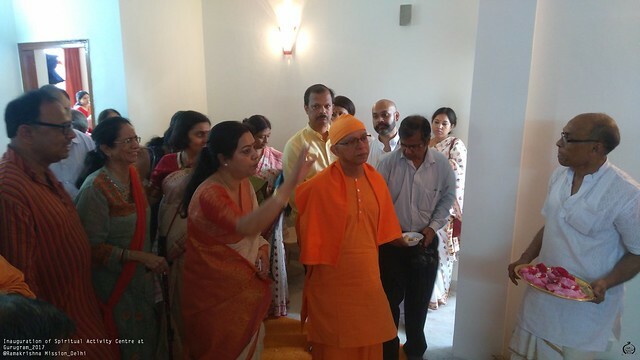 This was donated by Lt. Gen. Raj Kumar Bhandari to the Ramakrishna Mission, New Delhi. 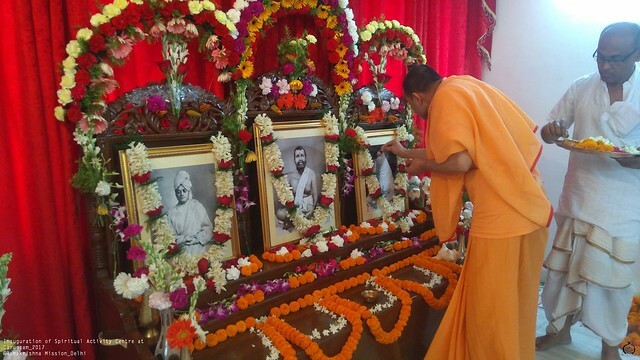 It was decided to carry on spiritual activities there and to start with, the members of all the four Kathamrita Study Circles affiliated to the Ramakrishna Mission, New Delhi, will have their meetings at the above venue at least once in a week. 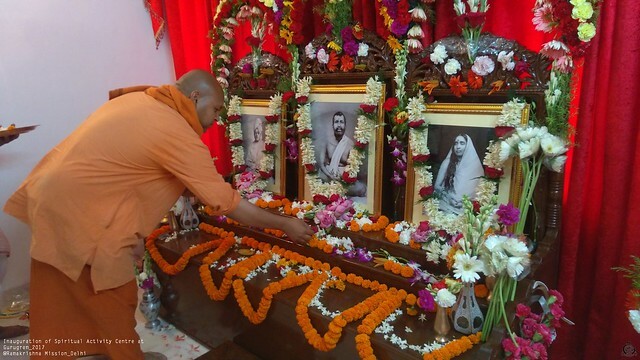 The Puja to the Holy Trinity was conducted by Swami Amritapurnanandaji. 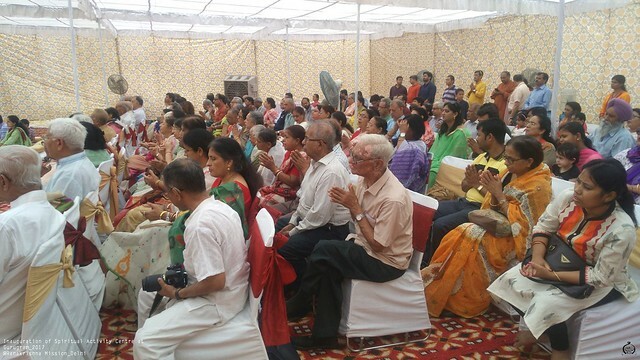 Then Pushpanjali was conducted. 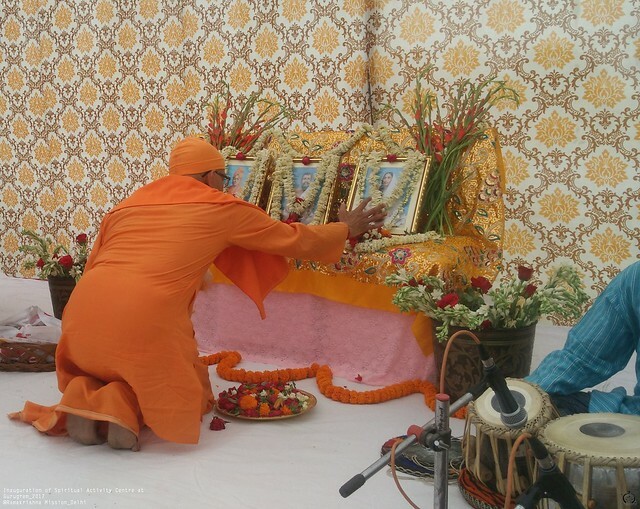 The devotional songs were rendered. 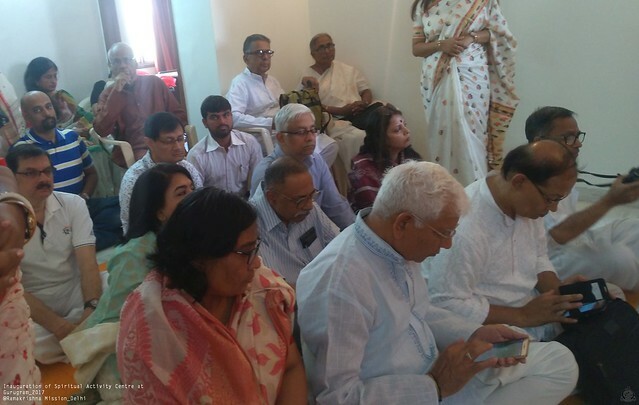 During the discourse, Revered Secretary Maharaj, laid stress, among other things, on regularity and punctuality of the devotees at all Kathamrita Study Circle meetings which will help them a lot in their spiritual progress.